UK: Industry leaders have declared the price of new offshore wind in the UK being halved since 2015 "astounding" and a "breakthrough moment". Contract for difference (CfD) deals worth £57.50/MWh (€64.10/MWh) were secured for Dong Energy’s Hornsea Project Two as well as EDPR and Engie’s Moray Offshore Wind Farm East site in the UK’s second auction round. Innogy also won a deal to build its Triton Knoll project at £74.75/MWh (€86/MWh). In the UK government’s first CfD auction in February 2015, deals for two offshore projects were agreed for an average price of £117.14/MWh — more than twice the cost of Hornsea Project Two and Moray Offshore Wind Farm East. The offshore stake prices were also far cheaper than that for the UK’s Hinkley Point C nuclear power plant — £92.50/MWh (€101.49/MWh) — which is currently under construction in Somerset, England, but behind schedule and over-budget. Andrew Jamieson, chief executive of the Offshore Renewable Energy (ORE) Catapult, said cost reductions and job creation meant the offshore wind sector had the potential to become the "backbone of the UK’s future energy systems". He added: "Technology innovation remains at the heart of driving further cost reduction and remains the critical enabler of this continued downward trajectory and the huge economic benefits that will ensue. "The auction results are further evidence of the huge progress the industry has made in substantially cutting costs through innovation, creating thousands of UK jobs." Keith Anderson, CEO of ScottishPower Renewables believes further cost reductions could be achieved in future auctions. Anderson said: "The (September 2017) auction results show that offshore wind has aggressively reduced its costs, embracing the challenges set by government. Further advances in technology will deliver even greater reductions in future auctions. "The government should be pleased the industry has delivered and, with a healthy pipeline of projects ready to go, they should on press on quickly with further auction rounds." Offshore wind farms accounted for just shy of 3.2GW in the auction — significantly ahead of the combined total of 149.95MW for ACT projects and biomass combined heat and power (CHP) systems. The only project to secure a cheaper deal mndash; £40/MWh (€43.89/MWh) — than the offshore sites was the 8MW advanced conversion technology (ACT) Redruth EfW facility. Chief executive of RenewableUK Hugh McNeal described the results as "unprecedented" for large energy infrastructure projects. "Today’s results mean that both onshore and offshore wind are cheaper than gas and nuclear. But this young, ambitious industry can go even further," he said. "The government can help us by continuing to hold fiercely competitive auctions for future projects, as it has promised, and by putting offshore wind at the heart of its upcoming Industrial Strategy." He added: "We knew today’s results would be impressive, but these are astounding." McNeal also highlighted the sector’s £17.5 billion (€19.2 billion) investment in the UK over the next four years and the need to aid economic growth post-Brexit. "The UK needs to establish new trading opportunities as we leave the European Union, and the UK’s offshore wind sector is a world leader in a global renewable energy market currently worth $290 billion a year," he said. "Today’s results are further proof that innovation in the offshore wind industry will bring economic growth for the UK on an industrial scale." Delighted Edinburgh-based EDPR's 950MW Moray Offshore Wind (East) site's been awarded CfD contract -powering equivalent of up to 987k homes! Scottish government minister for business, innovation and energy, Paul Wheelhouse, contrasted the strike price of £57.50/MWh for the Moray site with the "far higher" price of the Hinkley Point C nuclear plant. He added: "This auction further demonstrates that renewable energy is now the best route to delivering sustainable, affordable electricity for consumers." Scottish Renewables’ deputy chief executive, Jenny Hogan, meanwhile, argued onshore wind and solar should be allowed to compete in UK CfD auctions. They were excluded from the second round. "The government has the tools to drive down costs even further and these technologies can and should be allowed to play their role in delivering the government’s own Industrial Strategy," Hogan said. "We hope to see all renewable technologies getting the chance to bid in future auction rounds and to demonstrate just how cheap they can be," she added. British trade union GMB, however, said today’s strike prices do not reflect the total costs borne by the consumer. The workers union said between £10/MWh (€10.97/MWh) and £15/MWh (€16.45/MWh) extra needed to be considered in order to reflect periods of low generation and when turbines are shut down due to excess wind. GMB national secretary for energy Justin Bowen called for a "balance mix" of nuclear, gas — including hydraulically fractured — and renewable energy sources was needed to ensure supply continuity. He said: "GMB welcomes the price of wind starting to come down but cautions decision makers to keep their feet nailed firmly to the ground so as not to get blown away by all the hot air coming out from those suggesting Britain can rely, anytime soon, on renewables only energy sources, given that the wind and solar fleets combined produce almost no electricity for nearly half the time. "Until there is a breakthrough in carbon capture and storage then the reliable base load capacity nuclear and gas can bring for all those of days and nights when the wind doesn't blow and the sun doesn't shine is crucial." 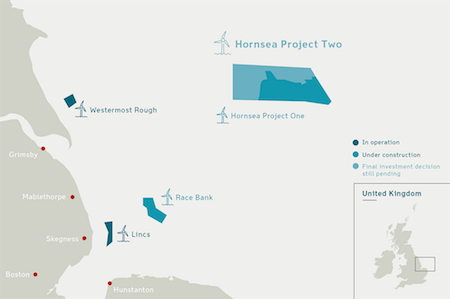 Dong Energy will build 1.386GW of its Hornsea Project Two site off the east coast of England at £57.50/MWh. The project is to be delivered across three phases, with the first scheduled to be online in 2022/23. Once completed it will be the world’s biggest offshore wind farm. 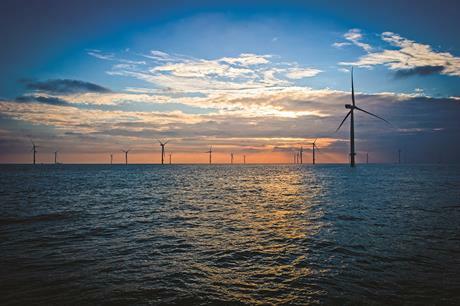 Matthew Wright, managing director for Dong Energy UK, said: "This is a breakthrough moment for offshore wind in the UK and a massive step forward for the industry. "Not only will Hornsea Project Two provide low cost, clean energy to the UK, it will also deliver high quality jobs and another huge boost to the UK supply chain." 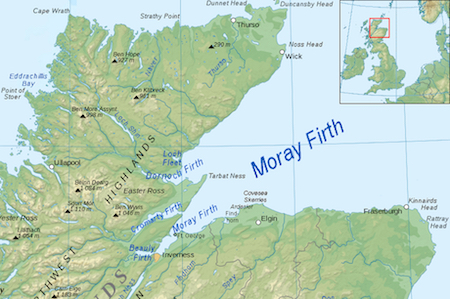 EDP Renovaveis (EDPR) also secured a contract, along with minority joint venture partner Engie, for 950MW of the Moray Offshore Windfarm East project, in the Moray Firth more than 22 kilometres off the north east coast of Scotland. Completion of the project is expected in 2022, EDPR said. CEO Joao Manso Neto said: "This auction has demonstrated the real progress in cost reduction and our result shows how affordable offshore wind can be compared to other technologies, including new thermal generation. "The UK needs more low carbon-generating infrastructure to maintain security of supply against an increasingly uncertain future. 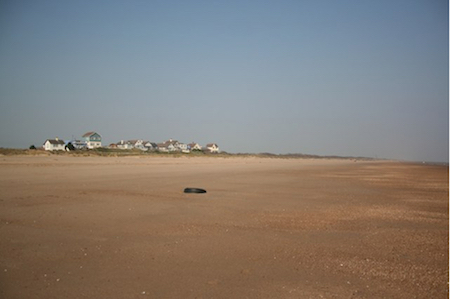 "EDPR has demonstrated what can be done at this site. It is in the UK’s interests to enable us to continue this achievement at other sites." Innogy and Statkraft won support to build their joint venture Triton Knoll offshore project. As the 860MW site off England’s east coast will be delivered a year earlier (2021/22), it will be more expensive than the other two projects. It will be built for £74.75/MWh (€86/MWh). Innogy CEO Peter Terium said: "A large proportion of our planned investment in growth is intended to flow into renewable energies. Together with our grid and retail businesses, they will make innogy the innovative, decentralised and sustainable energy company of the future." Today’s CfD deals also follow a series of offshore wind auctions in mainland Europe that delivered bids substantially below the respective administrative price ceilings. Notably, Dong and EnBW won contracts with zero-subsidy bids for projects in Germany’s first competitive auction in April. "In light of these latest price reductions, we call on the UK and other European governments to make ambitious commitments on future deployment volumes for offshore wind," Dickson said. 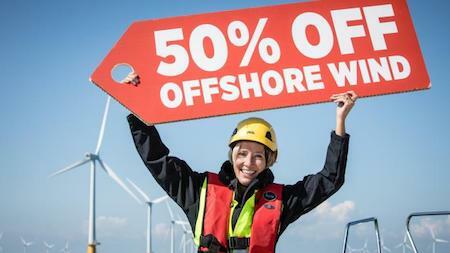 "Offshore wind has now shown it provides excellent value for taxpayers’ money. "To sustain these cost reductions the industry needs to be able to plan ahead, especially for the period post-2020 — crucially it needs at least three years’ visibility on the timing and volume of auctions," he added. The governmental Department for Business, Energy and Industrial Strategy (BEIS) awarded 11 contracts in the auction, worth a total value of £176 million (€193.5 million) per year. It had originally earmarked an annual budget of £295 million (€324.3 million) for successful projects. After the auction, BEIS said plans for the £119 million (€130.8 million) surplus and for future auctions would be announced "in due course".